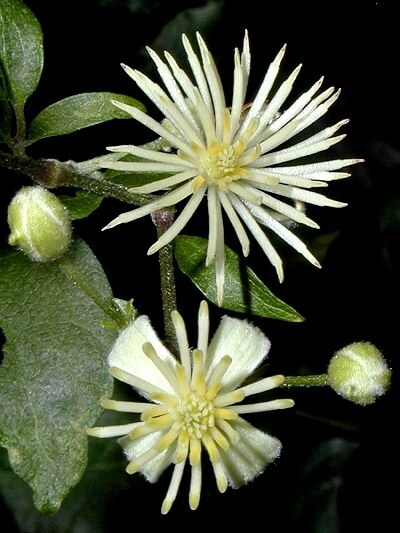 Description: Clematis is a climber and can reach a height of 40 feet. It loves warmth and grows in forests and in shrubs. The white or white-green blossoms are fragrant and have four sepals and many long stamens. In the Autumn, these become long silvery threads that give the plant its nickname Old Man's Beard. Clematis blooms from July to September. One is absent-minded, shows little attention to oneÂ´s surrounding. Daydreamer.